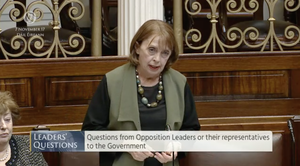 Social Democrat TD Roisin Shortall raised the Paradise Papers with Taoiseach Leo Varadkar. 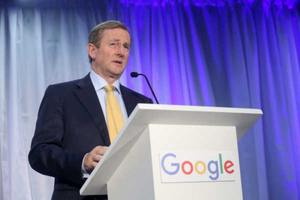 “Taoiseach, I want to raise the issue of the Paradise Papers and the information which is now emerging in respect of Apple’s tax arrangements. “The facilitation of these arrangements, by successive Irish Governments and the considerable negative impact which this is having on Ireland’s reputation. “The central theme, running through the Paradise Papers, is the relentless quest of the wealthy and the powerful , the great and the good, to find ways of avoiding paying tax. “We saw this most startlingly in the operation of the Double Irish and its use by Apple and the subsequent ruling by the European Commission that this favourable treatment constituted state aid. “In that regard it certainly seemed that the facilitation of tax avoidance was an intentional strategy, adopted by Government, and its agencies, in 1991, and updated in 2007. “It was very hard to understand why the Government in Septmeber of last year, with the full benefit of hindsight, could stand over the manner in which the sweetheart deals were done and vouch for their full compliance with the law. “The public, generally, cannot understand why the Government should now be spending considerable, additional millions in appealing that ruling. “Then Minister Michael Noonan’s position was very hard to understand. “In 2013, he signalled that he intended to close down the Double Irish on which the tax avoidance arrangement was based. “The impact of this was considerable for Apple’s tax liability. We know that there was much engagement between Apple and the Department of Finance around this time. “We also know, thanks to the Paradise Papers, that Apple went on a jurisdiction shopping spree in search of another tax-dodging deal. 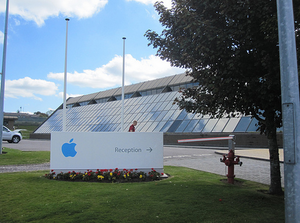 “We know that following the closing of the Double Irish that Apple restructured their companies, that they registered two of their Cork companies in Jersey and took up tax residency in Ireland where their remaining Cork company Apple Operations Europe. “This combined with the changes made to the Capital Allowance regime in 2014 allowed Apple to sell their IP back to the Irish registered company and avail of the massive tax breaks which this measure facilitated. 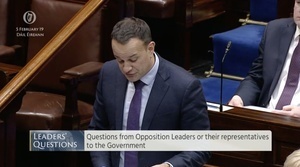 “So, Taoiseach, the questions are: Was our Capital Allowance regime changed to allow Apple to keep it’s formerly stateless profits entirely untaxed? “In other words, was it done to compensate Apple for the loss of the Double Irish? “Had Apple, or their representatives, requested a change to the Capital Allowances regime? “And how much has Apple benefited by this change? “The answer to your question is: No, or at least, not to my knowledge. It maybe a question that you want to put to the Minster for Finance who would have more information thanI do on those particular matters. “I don’t have a detailed knowledge of any companies’ tax affairs or any individual’s tax affairs for that matter? “Tax avoidance is very much an international problem. And international problems require international solutions. “And, as we found, when it comes to dealing with tax avoidance, by large companies, once one country acts, the company just moves to another jurisdiction. “That is why we need an international solution to this problem if we’re going to bring about a situation whereby companies pays their fair share of tax. 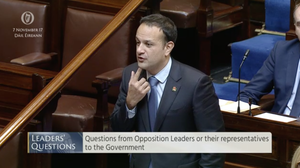 “In this regard, Ireland is an international leader. The OECD, the organisation for economic co-operation and development, based in Paris, is the international organisation that deals with taxation and deals with this area, making sure that companies aren’t able to exploit differences in tax law from one jurisdiction to the next. …The Double Irish is gone. Stateless companies are gone as well. And also the current Finance Bill which is going through changed the way that we tax intellectual property. “However we don’t accept at all that Ireland was involved in any special arrangement or state aid for Apple and that is why we are fighting that case. Posted in Misc and tagged apple, Dail, Ireland, Leo Varadkar, paradise papers, Róisín Shortall, tax at 3:10 pm on November 7, 2017 by Bodger. Exactly. The same for when you hear a politician start a sentence with ‘I believe’. blushirts – fighting tooth and nail for tax evaders, bravo boys and girls, bravo..
i always wonder why they do it .. for what gain .. personal? do they think it means jobs? something else? .. with a gun to my head, i think it’s as simple as this; they were teachers, solicitors etc. in the areas they grew up.. then they meet captains of industry, people who know how to do business and get what they want, they charm them, our politicians are in awe of it all and get rings run around them by the better experienced global businessmen, and they give in to their requests. They do it because it leads to another pension and position on various boards. You don’t need to look far for previous examples. Yup. It really is that simple (and that grubby) bdoons. The ultimate “I’m all right Jack. Roisin Shortall doesn’t look well in that photo. Met her a couple of times in the Viscount. Nice woman. why do you have photos of me you creepy weirdo? Tremendous summation of the situation by Ms Shortall, and a typically mealy mouthed, dishonest reply from our Teasock. The global financial system has always been rotten. But now that we live in a digital age it’s easier for dirty details to be leaked. Look at the last decade with Wikileaks, the Panama Papers etc. etc. And the rise of decentralised alternatives to fiat confetti money like the blockchain and Bitcoin. People are being forced to wake up and smell the rot. And if enough wake up they will demand honest change into the system. One more banking crisis and it’s game over for the old system as there are no entities large enough to bail the banks out. Ireland, of course, will be last to embrace any new system seeing as our political class are a bunch of dishonest cowards. What about the Section 110 Charitable status for our more recent arrivals to the property game? The Vultures?